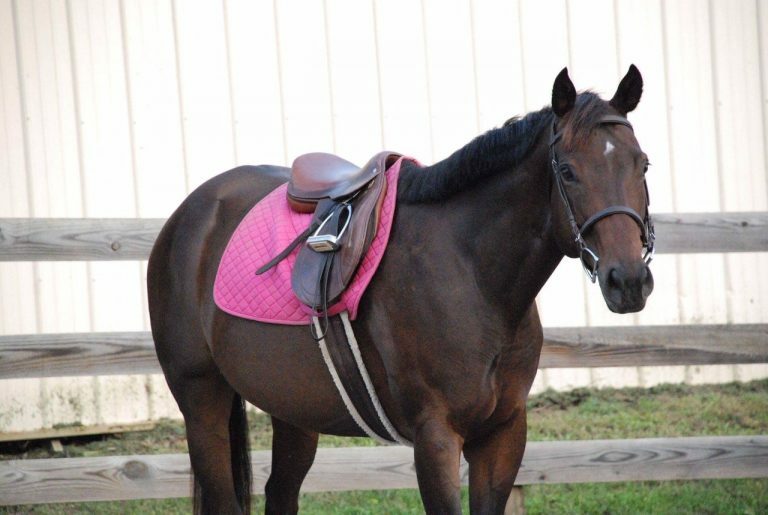 Fancy is a sweet 9 year old, 15.1 1/2h TB/QH-X grade mare looking for a home with someone who has the time to make her their project. 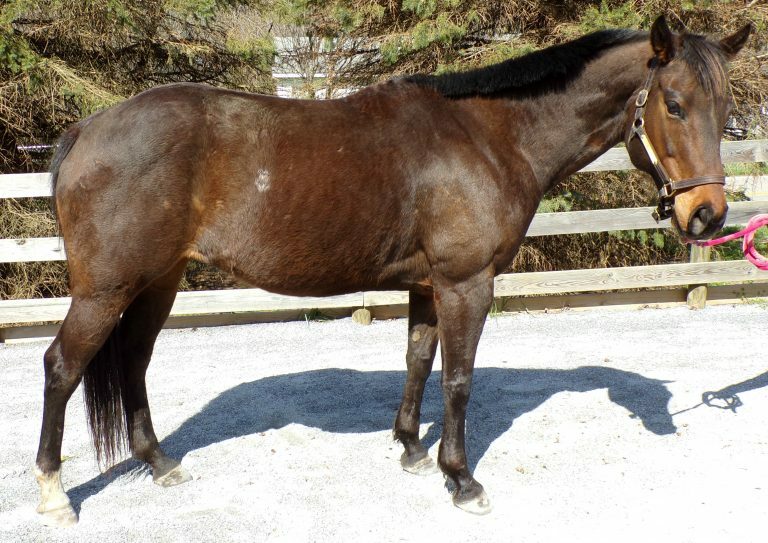 This mare has been taken to shows, and placed and handled herself well. She is trained English and Western. 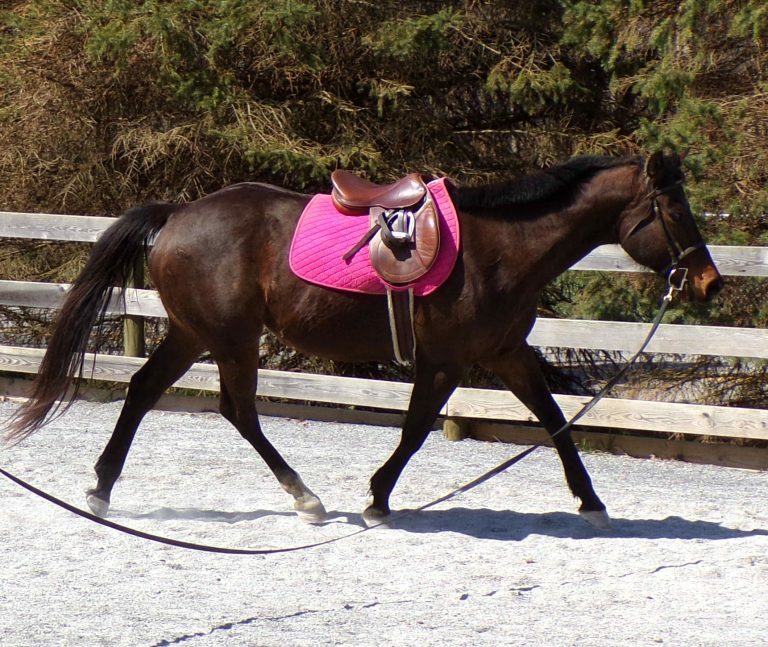 Fancy is great on the trails, will go out alone or prefers to follow in a group, and her owner says she has more whoa than go. 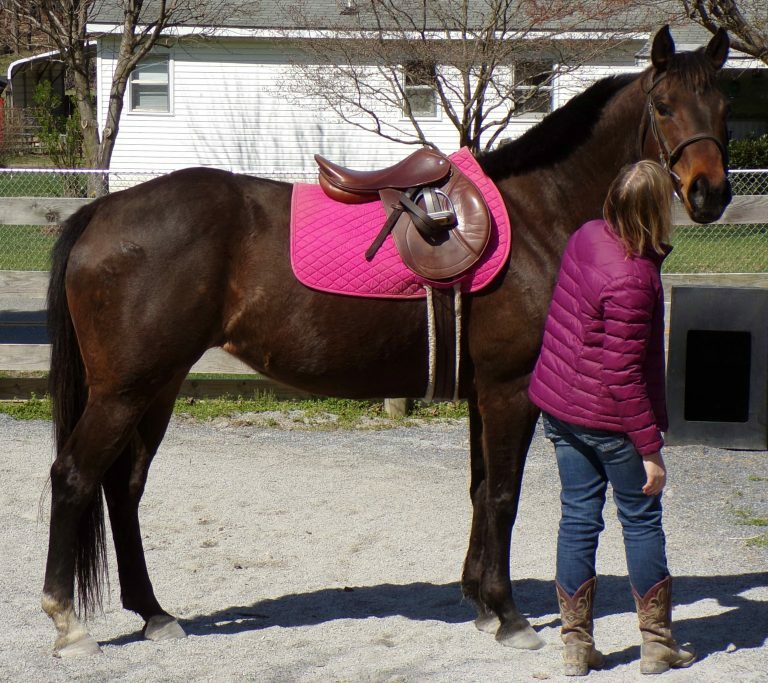 Her biggest challenge is that she has developed a fear of loading onto trailers, so she will need someone who can slowly work with her and show her that trailers are nothing to be afraid of! Once she gains confidence with loading, the sky is the limit with this girl! 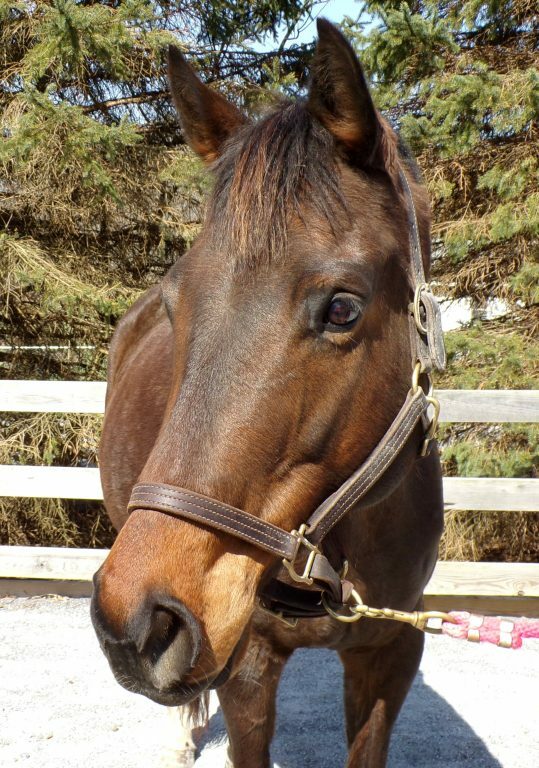 Fancy is barefoot, good with mares and geldings, and UTD on everything, including a negative Coggins. Inquire about her today! 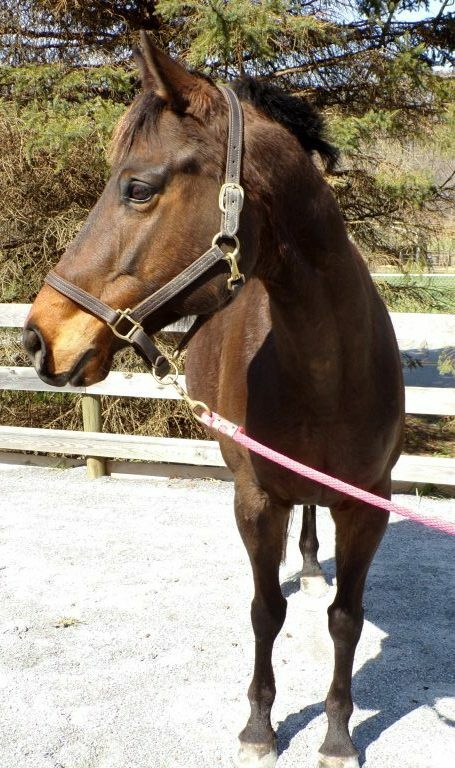 METS, a program of the Maryland Horse Council, is funded through a generous grant by the WaterShed Animal Fund’s Right Horse Initiative. 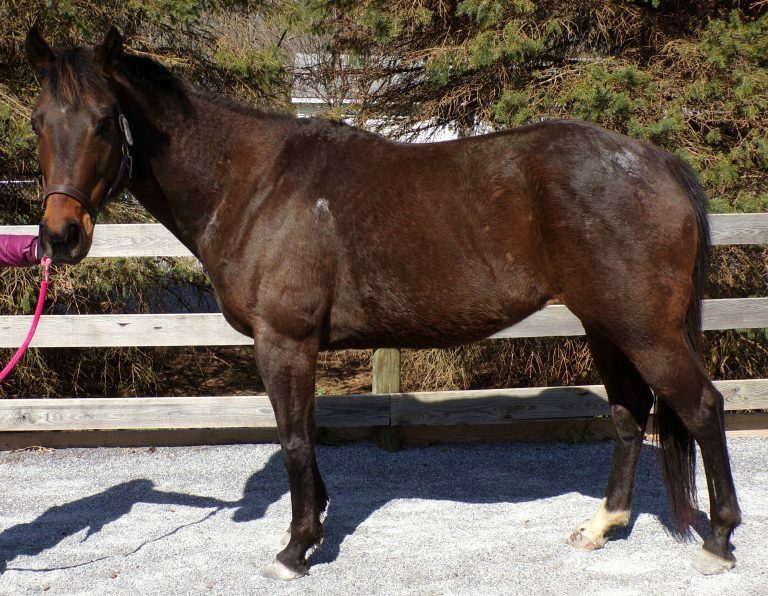 Website Content Copyright © 2018 Maryland Equine Transition Service. All rights reserved. Website by Entice Design, LLC.